Beveridge, Victoria – Australia ‘View from Golf Course’ Photographed by Karen Robinson April 2018 Comments: Sunset looking away from Golf Course towards Mountain Range. Kangaroos in the foreground feeding on the local grasses. Published April 23, 2018 at 1000 × 650 in Beveridge, Victoria – Australia ‘View from Golf Course’ Photographed by Karen Robinson April 2018 Comments: Sunset looking away from Golf Course towards Mountain Range. 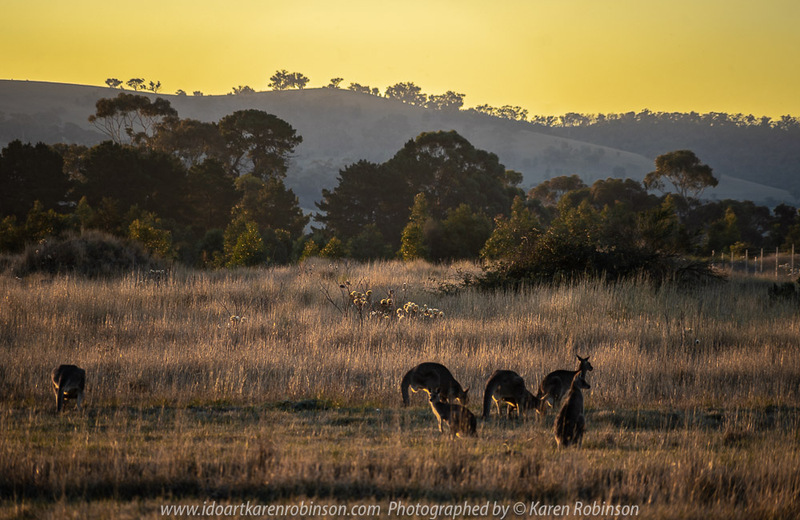 Kangaroos in the foreground feeding on the local grasses.